CLARAVILLE—Last month, the Virginia Department of Education announced that 86% of public schools in the Commonwealth are fully accredited this year, based on last spring’s Standards of Learning (SOL) scores. Locally, school districts are pushing to become part of that standard. 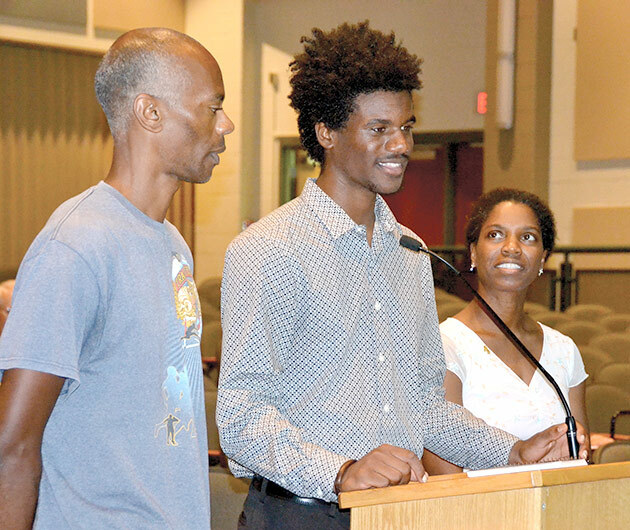 On Monday, academic and community members highlighted for the school board efforts to reach that goal. According to the Rev. Linwood Blizzard, pastor of Macedonia Baptist Church and part-time high school calculus teacher, community churches from Lottsburg to Kilmarnock want “to become greater partners” in closing the achievement gap. They will provide church facilities and volunteers to tutor struggling children, he told the board. Tutoring will take place from 4 to 6 p.m. on Mondays and Wednesdays, he said. “We have 20 to 25 volunteers,” said Rev. Blizzard. The group also is discussing the need to provide transportation to and from the sites. Rev. Blizzard will report on their progress at the November school board meeting.